What do you like about film for the type of work you do? It has to be the unpredictable nature of film, you never quite know how the shots are going to turn out until you've developed them. There’s nothing more exciting than pulling negs out of the tank and holding them up to the light to see what you’ve got. The cameras that I use in the water aren't equipped with a light meter, so it’s a lot of guess work that sometimes can be heartbreaking but most times full of surprises. Knowing you only have 36 photos also makes you be a lot more selective of what you shoot compared to shooting digital. Having only one frame per wave really emphasises timing compared to a 10fps digital camera. The beautiful tones and subtle grain of film provides results that I’ve come to fall in love with. What draws you to the work you shoot? Growing up around the beach and spending hours at the beach surfing and bodyboarding allowed me to make a lot of friends who shared the same interests. Realising that I wasn't all that great at those activities led me to photography. It allowed me to still be in the water surrounded by large swells without worrying about riding the waves. 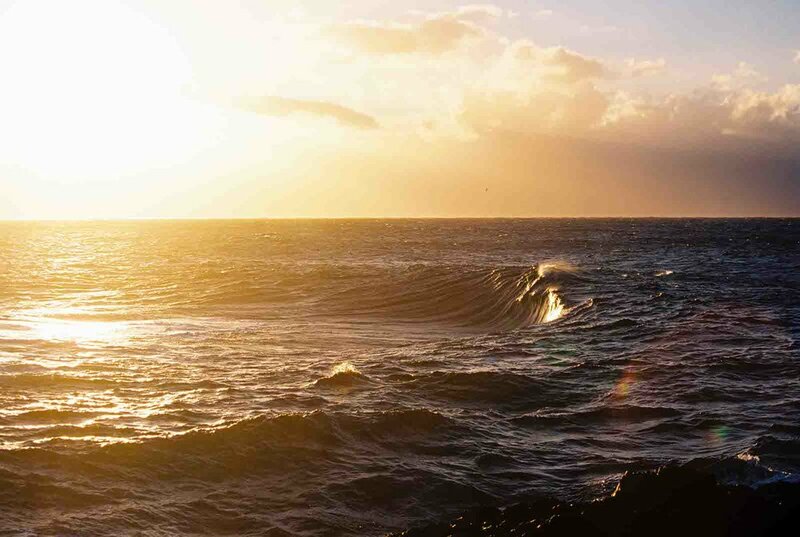 Being in the ocean surrounded by that kind of energy and watching the way water and light interact is something that is hard to put in to words. There’s definitely a crew of guys and girls who get out there and shoot (an increasing curiosity and usage of film has been occurring too which is awesome) and we’ve all become mates so it has it’s social aspects as well. What makes shooting in the water different? It’s a completely different ball game! It’s the perfect balance of being relaxed and refreshed whilst at the same time being scared, and constantly aware of where you are positioned and what is approaching from the horizon. A lot of time is spent out on the certain breaks resulting in knowledge of where to swim, what focal lengths to use and what light is doing and going to do. All this after sometimes waiting months for conditions to line up. Swimming sometimes hundreds of metres off the rocks or beach as the sun is rising is something that is hard to beat. Any projects coming up/current projects you want people to know about? I want to just keep shooting, expand on my knowledge of film and continue to put myself in positions to get pretty looking photos. Ideally I’d love to compile my best work and put on a local show so hopefully I can get that ball rolling in the near future. My instagram @viesismate is frequently updated, and a website is currently in the works - hopefully launching early 2018. I’m a 23 year old from Cronulla, NSW. I study Photography at the University of Technology Sydney and my spare time is spent bobbing around the ocean with a variety of waterproof rangefinders. After spending many years with a digital camera in the water, an equipment mishap left me without a camera. Itching to get in the water again mates Josh, Heydon & Ryan let me borrow their various Nikonos models which made me fall in love with film even more.